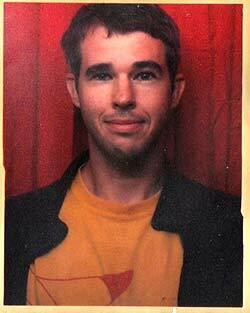 Made by six gay and lesbian filmmakers, the documentary Word Is Out: Stories of Some of Our Lives presents a group portrait of twenty-six lesbians and gay men who recount humorous and harrowing tales of being gay in the US. The film found a wide audience theatrically and, perhaps more importantly, had an unprecedented national PBS broadcast, thereby reaching thousands of isolated gay people with its affirming message. 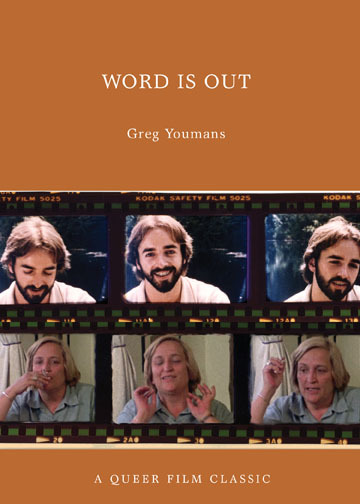 Deceptively simple in its talking-head format, Word Is Out shifted the paradigm of gay representation and contributed to profound transformations in US lesbian and gay life. Drawing on extensive archival research as well as new interviews, my book presents a wealth of information about the people who made Word Is Out, both in front of and behind the camera. It explores the film’s role in the late-1970s struggles for gay rights against Anita Bryant and California State Senator John Briggs. It analyzes the rise of a gay national imaginary and the consolidation of gay liberalism during the era. And it compares Word Is Out to queer media projects of the decade that took different aesthetic forms and had conflicting political aims. The book is arranged into alphabetical chapters, each exploring a key theme, issue, or person connected to Word Is Out: “A is for Anita,” “B is for Burden of Representation,” “C is for Collective,” “D is for Documentary,” etc. SAVE THE DATE: The San Francisco Public Library will host a book launch event at 6pm on Tuesday, January 10. Youmans will unearth rarely seen materials from the Peter Adair Papers housed at the library, including clips from the video preinterviews that the filmmakers conducted with more than a hundred LGBT people before choosing their final cast. A roundtable discussion will follow with Janet Cole, who was involved in the film's promotion, and four of the film’s makers: Nancy Adair, Andrew Brown, Lucy Massie-Phenix, and Veronica Selver. Greg Youmans examines the historical, political, and aesthetic significance of this important film, situating it firmly in its late-1970s context. He also delves beneath the film's surface to explore the backstory of its making, from the complicated relationships among its six filmmakers (three men, three women) to the more than 140 video pre-interviews they conducted in their search for the perfect cast.